The Birla Auditorium, Jaipur - a sight to behold! Four productions, sixteen countries, fifty cities and over a hundred shows later, we had heard the audience commenting that the shows have been an unforgettable experience or even a life-changing moment for several. We traversed through just such a life altering moment when we emerged from a show in a tier two Indian city. 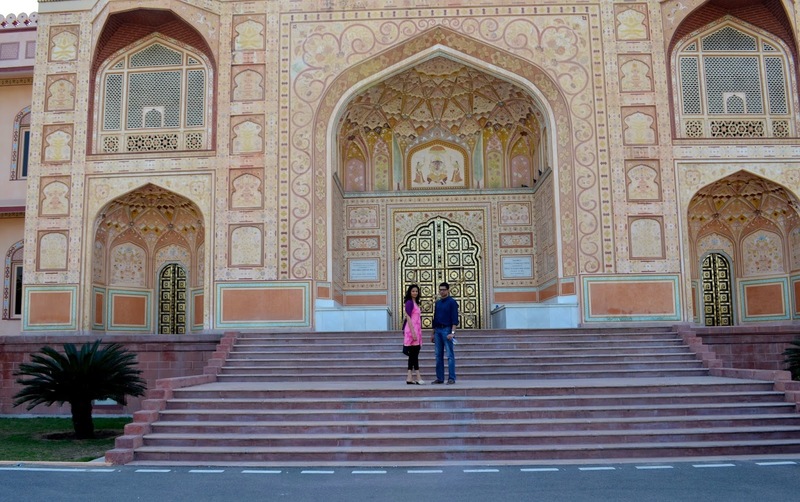 This city was Jaipur, the famed pink city. When we first saw the Birla Auditorium, the venue of the show, we mistook it for one more of the gorgeous palaces that dot this historic city. With the state-of-the-art sound and light systems to top that, we can safely claim that this would rate amongst the best auditoriums in India. Despite having performed in the so-called “illustrious” art centers, this one looked a little imposing. In this center, amongst our audience were a group of about 100 children and members from their community that had been invited to watch ‘The Prophet’ at this venue. They represented a slum in Jaipur, one that particularly suffers from its position at the nadir of the economic order. The group was brought to us through an NGO – Sakhi Bal Niketan and Amar Seva Samiti. It was composed of children between the ages of five to fourteen years, accompanied by their teachers, and some other residents of the slum. There was a hushed silence amongst this group as they took their seats before the show started. Undoubtedly, an auditorium that seemed intimidating to travel weary artists, would have seemed inaccessible to these children and their teachers. When the show started all these feelings were gone. The children broke out with impromptu applause at many places in a dance-drama that touched them and their lives. The young ‘Prophet’ who goes through a life of abuse by her own father, battles every moment in the slums for her survival and dignity, overcomes all odds to become a world famous dancer and much later turns a Messiah, helping the needy children… every one of these scenes was watched absorbed and applauded by these children as though the ‘Prophet’ had become a Messiah for their own hopes. At the end of the show, the children clambered up on to the stage to pose for photographs with us and even learn a mudra that represented the Prophet! The honesty and delight in their faces indicated that this was an evening that they would never forget – something that many of them told us also. It brought a blinding revelation us – if our shows are conducted free, as they all are in India, and conducted to propagate classical Indian dance, why would we not always have children from such circumstances come to watch us? For they, as much as any other child in India, have the right and perhaps the drive to achieve the impossible task of taking on the stage as an artist themselves one day. When I see at least one child from amongst these audiences is able to do that, then that moment alone is worth more than any accolades I have received over my career. In the line-up for the group photograph, we noticed a particularly tall boy and asked him how old he was. He was 14 years old. We joked to him that he better stop growing lest he ended up 8 feet tall! He responded to us that however much he grew, he could never grow as tall as us! The answer made us realize how little we really were in this world.